Mr. Biraj Gautam is a trained energy professional who has been involved in the projects related to rural energy services, R&D of energy technologies, implementation modality development, etc. He has gained experiences as an energy and environmental professional working in various projects in the countries like India, Bhutan and USA. Most of his experiences are from the RE projects in Nepal. His passions working on rural energy sector tempted him to work with PEEDA back in 2008 where he started his job as an Environmental Officer for Pro-Poor Hydro Project. 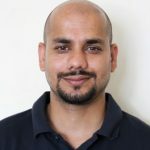 Since then he has been involved in various projects such as, feasibility of low head pico hydro technologies in Nepal, activity leader for research projects on low head turbine systems, community level biofuel utility aspects, implementation of various community electrification projects in Nepal, Bhutan and India. He also extensively worked with a team of experts including a team of students from Duke University and University of North Carolina at Chapel Hill for conceptualization of rural economic zone that revolves around the decentralized energy generation system. He also specializes in coordinating a team of multi-sector, networking, resource mobilization, orientation and supervision of field implementation of the projects. 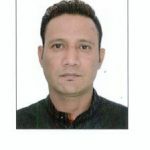 Mr. Gautam has MSc degree in Environmental Science from Tribhuvan University and University Credits in Professional Leadership Courses from George Masson University, USA. He enjoys volunteering and has been leading and coordinating various events of social cause. He is a board member of Community Solutions Program Alumni, a program by US Department of States, Board of Representatives for Hydro Empowerment Network (a network of micro hydro professionals from south and south east Asia) and Member of Access Coalition (a global network of CSOs and INGOs working in energy access). He also represented Access Coalition to Sustainable Energy for All Forum (SEforALL) held in 2017 in NY. Pawan Baral is a Bachelor’s degree holder in business studies and has been an employee of PEEDA since July 2003. Since July 2017, he has been working as a Manager - Admin and Finance and his major responsibilities are preparation and supervision of books of account, performing budget monitoring, handling of tax related issues of organization and all other finance/admin matters. He is also involved for the recruitment of employees in PEEDA as per necessity. He has previously been an employee of Hydro Consult Engineering Limited. Basanta Bista, has completed Master's degree in Rural Development and has working experience of different project’s management, implemented by a national level NGO and other organizations as a social mobilizer, research assistant and community development officer. 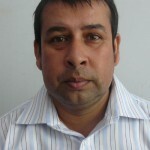 Basanta has a good knowledge and working experience in result-based management, project cycle management, right-based approach to development, conflict sensitivity, safety and security, capacity/team building and is well aware about gender sensitivity and accountability and other cross cutting issues of development. He joined PEEDA as community development officer in July 2011 and has been working as Assistant Manager - Community Development since July 2017. 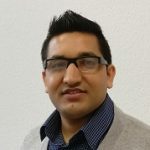 Bhav Narayan Jha joined PEEDA in October of 2018 as a Senior Project Officer. Bhav holds Master’s in Agriculture Science (Major: crop science) from University of Hoheneheim, Germany. 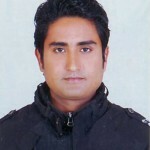 He has more than 4 years of professional experience mostly in livelihood promotion program in Nepal. Before joining PEEDA, he worked as agriculture coordinator in USAID funded project Sabal (Sustainable Action for Resilience and Food Security) through Local Initiatives for Biodiversity, Research and Development (LI-BIRD) as a consortium partner. He has expertise on overall implementation and management of multi-sector, community resilience activities. During his study in Germany, he worked as research assistant in EUROFINS, Germany; assisting research, station management and handling, soil fertility analysis and final reporting. As a Senior Project Officer, Bhav handles technical and managerial part of livelihood projects. 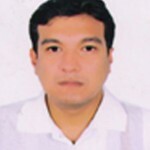 Prem Karki, holds a M.B.A. degree from Kathmandu University School of Management (KUSOM) along with B. Tech in Mechanical engineering. He specialized in project management and marketing. He joined PEEDA as Rural Enterprise Development Officer in July 2015. He is mainly involved in documentation, report writing, data collection, data tabulation & analysis, detail feasibility study of pico hydro plants and monitoring & evaluation of projects. 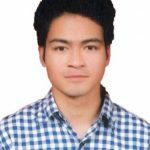 As a Project Engineer for PEEDA, Mr. Prashanna Bajracharya is pursuing his ambition to become an Expert in the field of Renewable Energy to help relief energy deprivation in rural Nepal. 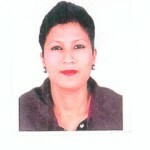 Prashanna holds a Bachelor’s Degree in Mechanical Engineering from Kathmandu University. Initially, he started working as an intern for PEEDA and is currently involved in solar cold storage project for improving livelihood of small farm holders. He has experience of designing hydro-mechanical components learned as an intern for Hydro- Consult Engineering Ltd. He has a plethora of experience in Computer Aided Design (CAD). For his final year project, he worked on performance analysis of wind turbine blades installed at Mityal, Palpa. Surendra Pandit joined PEEDA in June of 2018 as a Business Development Officer. Surendra holds M.Sc. in Renewable Energy Management graduate from Technical University of Cologne, Germany and holds a bachelor’s degree in Electronic and Communication Engineering. During his master’s degree in Germany, he worked as a Research Assistant in the university working on a different project related to renewable energy, climate change and data modeling. He has worked with different national and international organizations as a volunteer. In 2015, he worked as a volunteer for Sustainable Energy for All Forum (UN headquarter, New York) assisting staff members, managing forum facilities and providing technical support. As a Business Development Officer, Surendra handles technical and management part of a different project. Besides work, he loves to spend quality time in nature, traveling and follow sports. Bhawana Bajgain is working as a Admin assistant in PEEDA since December 2017 and holds bachelor's degree in business studies and is also pursuing masters in business studies. She has previously worked as a receptionist and cashier in hotel Urgachandi and has completed her internship from Himalyan bank Ltd. Holds C.M.A. and Bachelor’s degree in Education and been working as a social mobilizer since 17th September 2016. Her previous job experiences include working as social mobilizer for RRN and field supervisor in SUAHARA project of USAID and Rural Development Tuki Association where her main activity was to coordinate the field level difficulties on moving the project further. She has received various training related to health and social mobilization. Holds A.N.M. from Jiri Technical School, Dolakha and I.Ed. and been working as a social mobilizer since 17th September 2016. 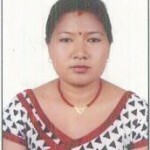 Her previous job experiences include working in various health posts in Dolakha. She has received skilled birth attendant training from National Health Training Center and various other health related trainings. He has completed +2 science from Jiri Higher Secondary School, Dolakha and been working as a social mobilizer since 17th September 2016. His previous job experiences include working as a social mobilizer for Environment and Public Health Organization (ENPHO) and Community Development Forum/ SEBAC Nepal. He has achieved various training related to WASH.
She has passed +2 in education from Sharada Higher Secondary School, Bhaktapur and been working as a social mobilizer since 17th September 2016. Her previous job experience includes working as facilitator in Child Development Society under Self Employment Education Program (SEEP). She has received basic computer course. Shyam Sundar Karki has been working in PEEDA as Driver since March 2017 and is responsible for day to day outdoor activities as per requirement. He holds lower secondary level education and has years of experience in driving. She has been working in PEEDA as office helper since 28th November 2016 and is responsible for day to day indoor activities like cooking, documentation, cleaning, etc.